Fillmore County Medical Center, P.C. was formed by the merger of Ashby Clinic and Family Health Services Clinic in November 2004. 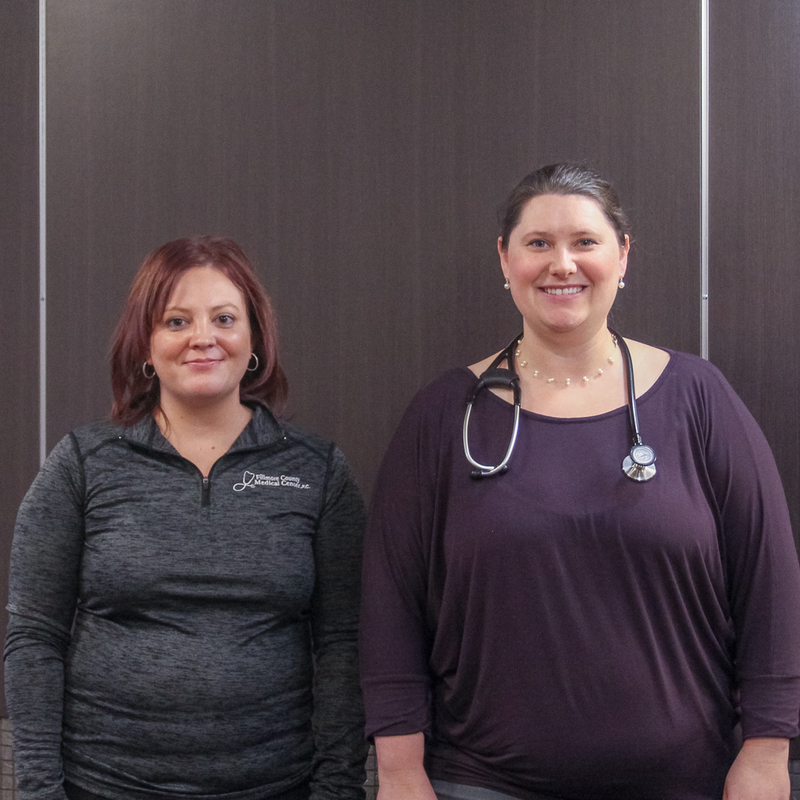 Our goal is to provide the patrons of Fillmore County, Geneva and the surrounding communities with the best, most up to date healthcare in a professional and compassionate manner. Dr. Jason L. Bespalec is a Board Certified Family Physician practicing in Geneva, NE since 1998. He has been with Fillmore County Medical Center, as an original owner, since its inception in November 2004. Dr. Bespalec grew up in Crete, NE and has always invisioned himself practicing in a small town in Nebraska. Dr. Bespalec is married to Pam and they have one son, Jacob. Dr. Bespalec is very active in the community. He serves on the Sale Tax Committee for the city, enjoys sports, and umpires Little League Baseball in the summers. He is also very musical. He plays guitar with his church's Praise Band. His favorite is playing guitar and singing with the kids at Sunday School and Vacation Bible School. He also play bass guitar in a band called "Home By 10". Dr. Bespalec is trained to provide complete care to the whole family. He has special interests in Obstetrics and Pediatrics, as well as, several procedures including, Upper Endoscopy, C-Sections, Colonoscopy, Vasectomy, and other minor office procedures. Dr. Jeff Hollis was born and raised in Denver, Colorado. After completing his residency in Lincoln, he began practicing in Geneva in 1984. Dr. Hollis joined the Fillmore County Medical Center, P.C., upon its inception November 1, 2004. He and his wife, Ellen, have three children, Grant, Karen and Luke. Dr. Alanna Beckman hails from a farm out in western Nebraska, however she graduated from Julesburg High School in Julesburg, CO. After high school, she attended Creighton University in Omaha where she received her Bachelor of Science Degree in Biology. From there, Alanna went on to the American University of the Caribbean in Cupecoy, Netherlands. Here she received her medical training. Finally, Dr. Beckman obtained her Doctor of Medicine Degree from St. Matthews University School of Medicine in Grand Cayman in the Cayman Islands. Once she had obtained her doctorate, it was time to flee the island life and head back to the Midwest. Dr. Beckman started her residency in the Lincoln Family Medical Program in Lincoln, NE. When she was done with her residency, she knew it was time to get back to rural Nebraska. “Geneva was just a good fit. I was looking for something rural that would allow me to practice the things I was most interested in. It’s also not far from Lincoln, where I did all of my training. I have a good base of specialists that I know personally up there. I can reach out to them whenever I need to for more difficult and challenging cases. That is extremely nice to have,” Beckman explained. Although being a doctor can be very demanding, Dr. Beckman is still human. There are things she likes to do outside of her everyday life. “I really enjoy reading and traveling. Traveling is probably my favorite thing to do,” Alanna said. Not only that, but she also enjoys cooking. “I’ve gotten into using a pressure cooker lately. My favorite thing to cook right now is this Tai Chicken recipe I make in that,” she explained. So, if you’re having trouble mastering the pressure cooker, you may need some tips from one of your local health care physicians! Anytime you go to the doctor’s office, you hope to get answers. You expect to be respected and treated like a human being, not just another patient. At Fillmore County Medical Center, you will get just that. You’ll get extraordinary care, along with a sense of security and comfort in knowing your concerns have been heard. All the ‘i’s will be dotted and the ‘t’s will be crossed. No question will go unanswered. If this is the care you are looking for, Fillmore County Medical Center is the place for you! Russ Coash, PA-C joined Fillmore County Medical Center in May of 2011. Russ is no stranger to this area as he spent much of his childhood in Hebron and Deshler. Russ started his career as a Physician Assistant in Arkansas for 3 years prior to moving back to Nebraska where he took a position in Crete. In 2000, Russ graduated from the University of Nebraska Medical Center's Physician Assistant program. Since then, he has been actively involved with state and national Physician Assistant Professional organizations. He has been a representative to the House of Delegates of the American Academy of Physician Assistants. On the state level, Russ has served on the Board of Directors for the Nebraska Academy of Physician Assistants and has been the editor of the organization's newsletter for several years. For his service, Russ has been recognized with the 2015 Nebraska Academy of Physician Assistants Services to Colleagues Award. 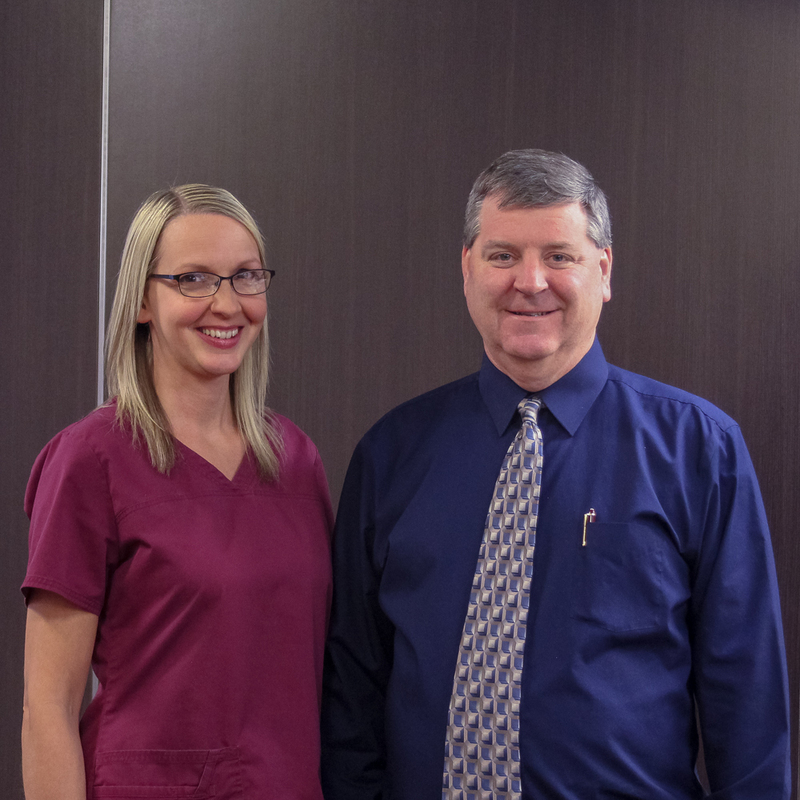 Russ has experience in and provides a full range of medical care to all ages. He has a special interest in the treatment of people with asthma, diabetes, and chronic pain. Russ and his wife Chris live with their son Zachary in Geneva. The Coash family is an active family enjoying a number of sports and outdoor activities. Chris has helped coach Zachary's soccer team and Russ has volunteered time with the kids on the Fillmore Central Youth Wrestling team. Chris is a skilled trapshooter, she lends her talents to the Fillmore Central Trapshooting team as a volunteer coach. Chris and Russ both enjoy scuba diving, they have advanced diving certifications. During the summer, they are busy with their garden. In the fall, they enjoy going to Husker football games. Not every medical professional feels like they are called to the medical field at a young age. It took our next featured physician assistant several years and a lot of traveling to finally get her mind set on joining the field. Michelle Dorsey came to Geneva from Gordon, NE, where she graduated high school. After four years at Nebraska Wesleyan University, Dorsey took some time off to do a little traveling and scientific research. She first spent some time in New Zealand and then headed to South Africa. “Both places are beautiful, but in very different ways. I loved the lifestyle in New Zealand and the diversity in South Africa,” she recalled. While in New Zealand she researched ovarian follicle development. She worked in the laboratory of a reproductive clinic in South Africa. Michelle returned to the states and worked for a short while before she needed a new adventure. So, off she went to Japan to teach English. She was there for a little over a year before she found her true calling. Dorsey returned home after her time in Japan and applied to physician assistant (PA) programs. “I had planned to get my PhD in research. But, while working in the labs, I realized I missed the interaction with patients. I didn’t want to be behind the scenes in the lab anymore. I wanted to work directly with patients,” she described. She was accepted at Philadelphia University, so she and her husband, Aaron, packed up and headed east. She obtained a Master of Science in Physician Assistant Studies and immediately got a job in a family practice outside of Philly. She practiced there for three years, their first son was born, and life was great. However, something was still missing. Although they were enjoying their time out east, being away from their families was extremely difficult. So, they decided to pack up again and move back to Nebraska. That’s when Michelle got the job at the Fillmore County Medical Center. When searching for opportunities in Nebraska, Dorsey was looking for a small town, much like the one she grew up in, that was still close to Lincoln. Geneva was a perfect fit. Being a part of the FCMC has been a great experience for Dorsey. She said, “The relationships we have as a staff are wonderful. It’s like a family. We all look out for one another and work really well together.” Michelle noted that the patients are the most enjoyable part of being a PA. “It all comes down to the patients. I love the challenges each one brings. Every patient is so different, so listening to their concerns and trying to figure out ways to fix their problems is fun. The daily interaction with them is my favorite thing, “Dorsey explained. She also loves being a part of the family practice side of things. “I enjoy getting to see the same patients often, so I get to form relationships and watch them grow. That is very rewarding,” she commented. Michelle makes sure her patients feel like they are being heard. She always tries to spend enough time with each and every one of them. “I want to make sure I address all of their questions and make them feel like they’ve accomplished something too. I try to always be welcoming and approachable,” Dorsey said. When Dorsey isn’t in the clinic trying to solve problems, she loves spending time with her family. Her husband, Aaron, works at the Postal Service. The couple have two boys, Oliver (5) and Elliot (2), and just recently welcomed a baby girl into the family. They reside in Geneva. In her free time, Michelle enjoys cooking and trying new recipes and ingredients. “I love to have a cooking project where I spend the whole day in the kitchen,” she admitted. As for the clinic, Dorsey says it’s a great place for patients to receive the care they need. It is unique in that it is attached to the hospital in Geneva. “I think that makes us unique in a good way. We are separate entities, but we work and collaborate really well. That certainly is a bonus when it comes to treating patients the right way,” Dorsey explained. On top of that, add a nice, new, clean environment with caring and knowledgeable providers and you’ve got yourself one heck of a place to go for all your medical needs. Marirose Fox, PA-C, MPAS has been living in Geneva for the past 26 years. She was born and raised in Omaha, Nebraska. Marirose graduated from Paul VI High School in 1973. She returned to school at the University of Nebraska-Omaha in August 1983. She moved to the University of Nebraska Medical Center in August of 1986 where she received her Bachelor of Science Degree in Physician Assistant Studies. In 1997, she was in the first class of Physician Assistants to receive their Masters of Science Degree in Physician Assistant studies via the Distant Learning Method. Marirose started practicing with Dr. Charles Ashby in September of 1998. Dr. John Jacobsen joined them in 2003. 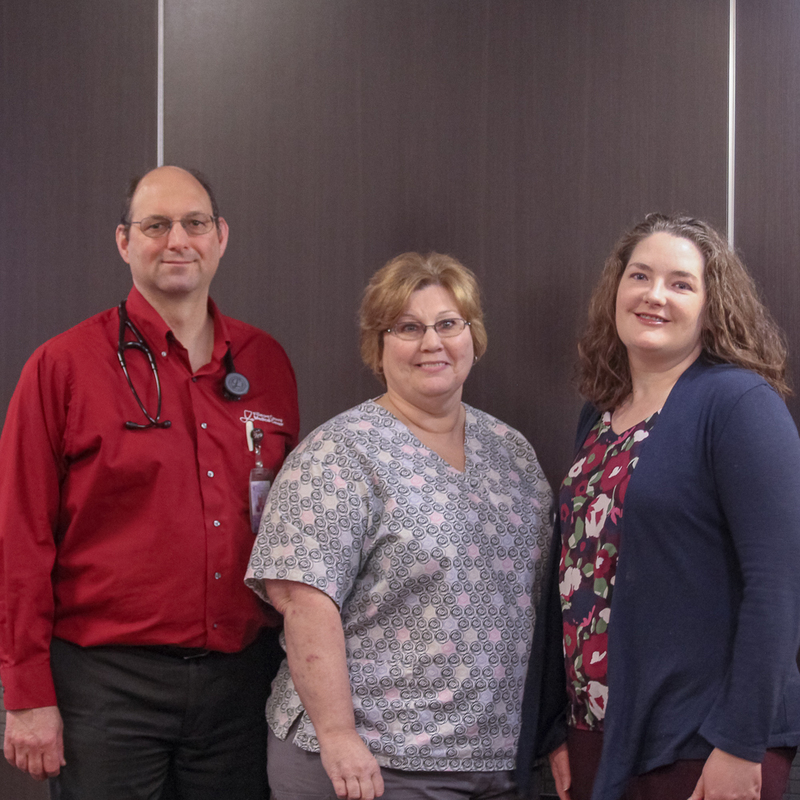 In November of 2004 the Ashby Clinic merged with the Familiy Health Services Clinic to form Fillmore County Medical Center where she has been practicing since. Marirose is a member of the Nebraska Academy of Physician Assitants and is certified in ACLS, ATLS, BLS, and NRP. Marirose has special interests in Diabetes Mellitus Education. In her spare time, Marirose loves to sew, do needlework, read, and spend time with her large extended family. Marirose has 2 sons, Brian and Jason, as well as a foster son, Robert. She enjoys her time with her 5 grandchildren. Dani is originally from the town of Western, NE. She attended and graduated from Tri County High School. Jaeger’s husband, Jacob, farms in the area and also works with Pioneer seed. He also umpires baseball in the summers. The couple have two children together, Charlotte, 2, and Huckson, 8 months. Their family resides in Geneva. After graduating from Tri County, Dani went on to the University of Nebraska at Lincoln for her undergraduate studies. 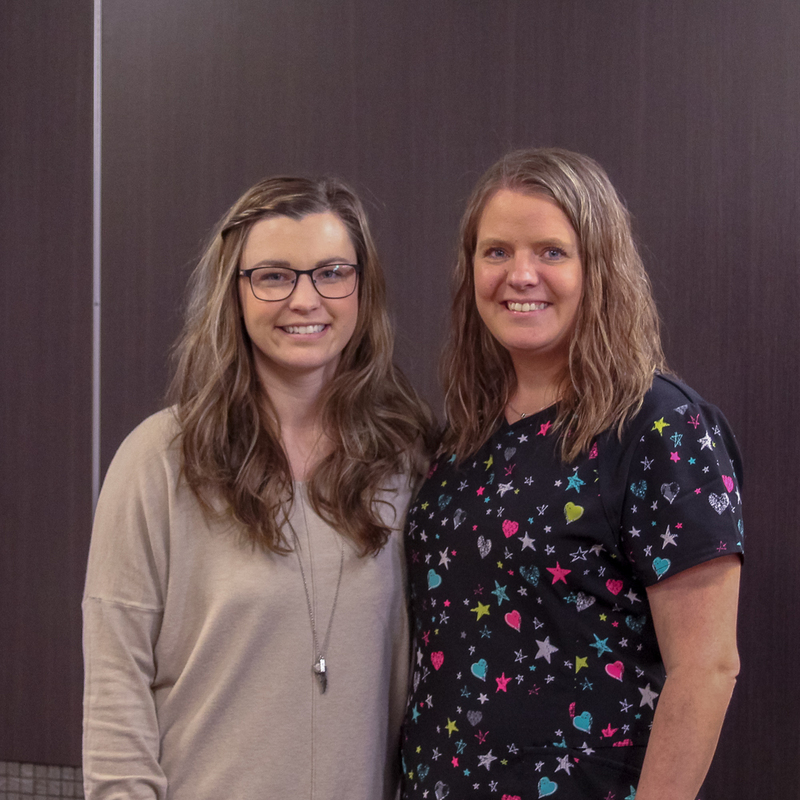 She received her Bachelor’s Degree in Nutrition Science and then continued her education at the University of Nebraska Medical Center, UNMC, to obtain her Masters in Physician Assisting. “For as long as I can remember, I’ve wanted to be involved in medicine. My dad was an EMT and I always wanted to be able to help people like that,” Jaeger said. Being a part of the Geneva community is a blessing for the Jaeger family. When an opportunity to get a job at the Fillmore County Medical Center came up, she didn’t hesitate for a second. Dani explained, “I did a 12-week rotation here when I was in school at UNMC. I loved the staff and the patients and hoped to get a chance to come back here full time. I’m also from the area, so it worked out perfectly!” She also mentioned that she loves taking her kids on walks around town and making connections with so many wonderful people in the community. Raising their kids in a small town was also important to the Jaegers. “Geneva is a small town, near my hometown, and has a very similar lifestyle to the one in which I grew up. Jacob and I always wanted to raise our kids in an environment like this,” she mentioned. Dani and her family certainly enjoy being a part of the Geneva community. However, having a great job certainly helps you enjoy where you are. Jaeger takes her job very seriously and hopes to provide the right care to each and every patient she sees on a daily basis. When asked what she enjoys most about her job, she replied, “I enjoy getting to help people and making a difference in the lives of those around me. That’s why working in a small town is so rewarding; you get to see the impact you are making!” Seeing that impact every day makes it easy to get out of bed in the morning and spend countless hours at the clinic. It’s easy for Jaeger to see her hard work is paying off. But, it’s not all about gratitude for her. Dani wants her patients to be pleased as well. “I care about my patients and try to put specific emphasis on making them a part of the decision process and listening to what they have to say,” she said. Jaeger also mentioned she doesn’t feel like she is the only one that takes the time to do that at Fillmore County Medical Center. “It is very easy to see that each of the providers at FCMC truly care about their patients,” Dani continued. The daily lives of healthcare providers can be like a rollercoaster. They have good days and they have very bad days. With all the ups and downs involved in the medical world, it is important to be surrounded by incredible people, to help pick you up when you are down and congratulate you when things go well. 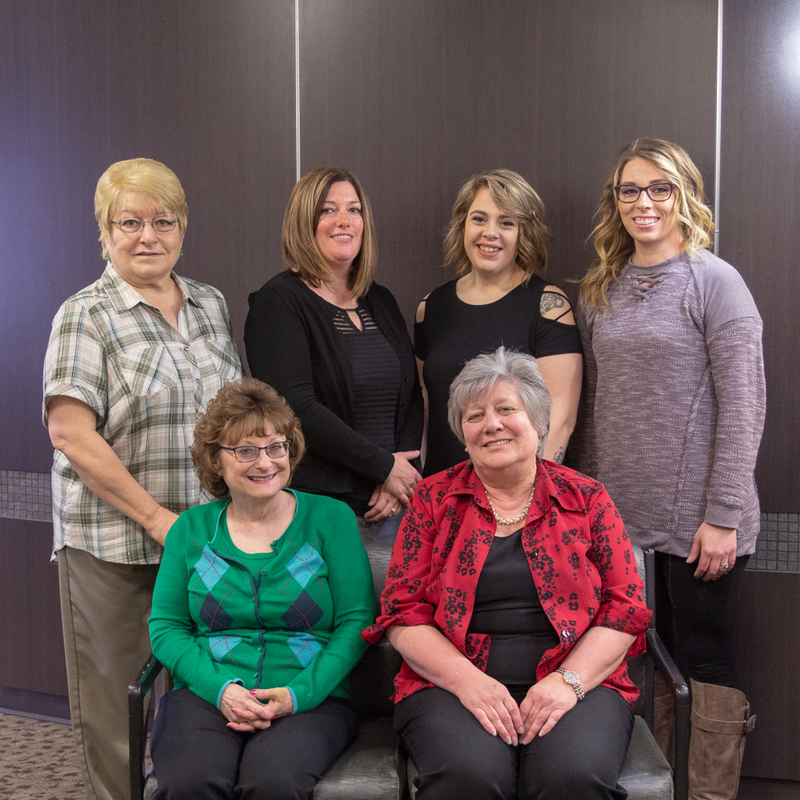 At Fillmore County Medical Center, the providers are surrounded by wonderful co-workers. “Our providers and staff at FCMC and FCH are wonderful. We’re like family. Having that type of relationship with your co-workers makes coming to work so much more enjoyable, no matter what is going on around you,” Jaeger boasted. 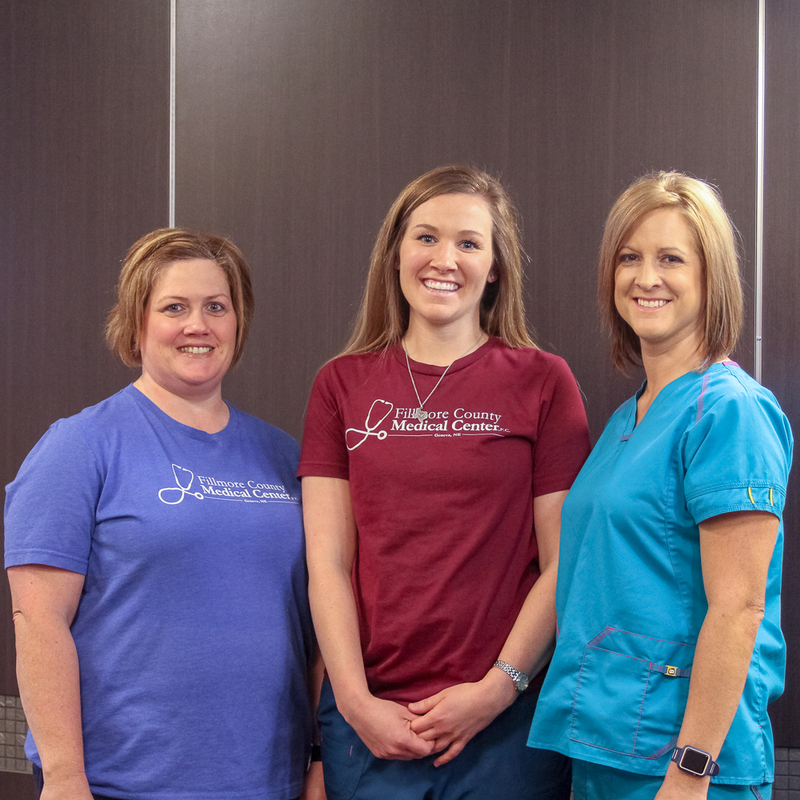 Having providers who are happy where they are, have support all around them, and truly care about what their patients have to say combines for extraordinary care at FCMC.